As a social media editor, I spend a lot of time on Instagram. In fact, I recently wrote a piece about how exactly I maintain digital wellness despite being glued to a screen nine-plus hours of the day. Social media gets a pretty bad rap (Instagram anxiety is a real thing, and we've experienced the benefits of a digital detox firsthand), but I've also come to realize the many benefits of scrolling through my feed. I've come across numerous healthy recipes and saved many workout sequences, for example. So when it comes to learning more about sustainability and reducing my carbon footprint, I thought it'd be useful to add people who really know their stuff to my list. Because if you're going to spend time scrolling and tapping, you might as well learn more about how you can help out the earth while you're at it. From people who live plastic-free to the people with the best eco-friendly product recommendations, keep reading for 10 sustainability pros to follow on Instagram right now. Podcast founder, freelance writer, and business strategist Sara Weinreb is truly a jack of all trades. But no matter what project she's working on, her passion for sustainable well-being somehow finds its way into everything she does. Her Instagram is filled with tips for ethical shopping, dos and don'ts on recycling, and her favorite eco-friendly products. Dominique—who describes herself as an ambassador for sustainable style and cultural context—is definitely someone to tap the "follow" button on. She's the founder of the site Melanin & Sustainable Style, a "safe space promoting nontoxic style and diversity at the SAME DAMN TIME." Um, yes, please! Besides her website, we love Dominique for her blog series, Dom's Conscious Closet, which showcases all her of sustainable outfits (and tells viewers where she purchased each piece). Bea Johnson, aka @zerowastehome, is a best-selling author and speaker who has been featured on CNN, The New York Times, ABC, and more (ever heard of them?). So when it comes to sustainability, she knows her stuff. Follow her on Instagram for tips on reducing waste, minimalistic decorating, and eco-friendly travel hacks. Tayler's Instagram may be mostly focused on healthy recipes and her experience with orthorexia, but she also uses the platform to highlight her passion for helping the environment. An ex–fashion major, she shares many tips on thrifting (including kitchen appliances and dishware, believe it or not), along with how to compost. Curious about how to shop more sustainably? @consciousnchic curates her feed about exactly that, giving you style inspo that is both double tap–worthy and ethically sourced. #MealPrepSunday, but make it sustainable. We love following @theplantedone for her plant-based recipes and nutrition expertise, but give her extra points for keeping her kitchen plastic-free. Give #MyGreenCloset a follow a tap and you'll uncover loads of eco-friendly tips via Verena, including (but definitely not limited to) green date ideas, composting 101, sustainable capsule wardrobes, green beauty, and more. Here's a showstopper of an Instagram bio for you: "I haven't used single-use plastics for a decade… because the ocean." Kate Nelson's Plastic-Free Mermaid feed is dedicated to living plastic-free (including her own online course), intermixed with jaw-dropping images of the impact plastic has on the environment. Follow her if you want a reminder to put down that plastic straw and attempt to live more sustainably. Environmentalist Emily created her account to showcase that living sustainably—even in a city like New York—is entirely possible. 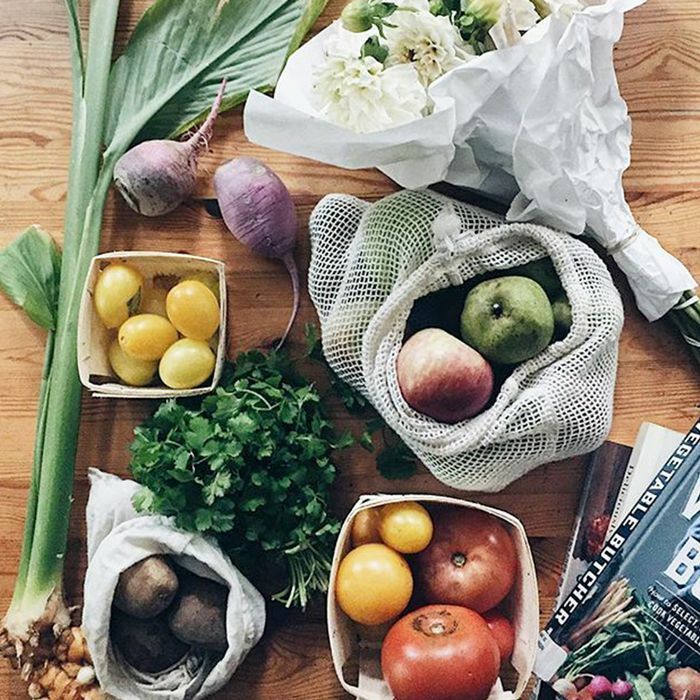 We've bookmarked a few of her tips on purchasing in bulk and recycling, but especially enjoy reading how she maintains an eco-friendly lifestyle in NYC (like how she grew vegetables on the roof of her Brooklyn apartment). If you thought being a plant mom was cool, try following Erika Nolan, a flower gardener and garden artist who grows her own food. If you're interested on developing a green thumb and learning more about gardening, add her to your list.